The easiest way to avoid the heartache caused by the sight of a groundhog-devoured garden is to grow plants that groundhogs don't eat. These pests, also known as "woodchucks" (Marmota monax), are large rodents (30 inches long, 15 pounds) that must eat great quantities of food to sustain such an impressive frame. This appetite makes them one of our most feared garden pests. Do note, however, that all such lists deal in probability, not certainty. Whether we're discussing groundhog-resistant plants or deer-resistant plants, the fact is the pest in question will eat just about anything if starving. But you put the odds in your favor if you grow plants that pests are less likely to eat. There are many plants that groundhogs generally avoid; learn about some of the prettiest and most useful ones. 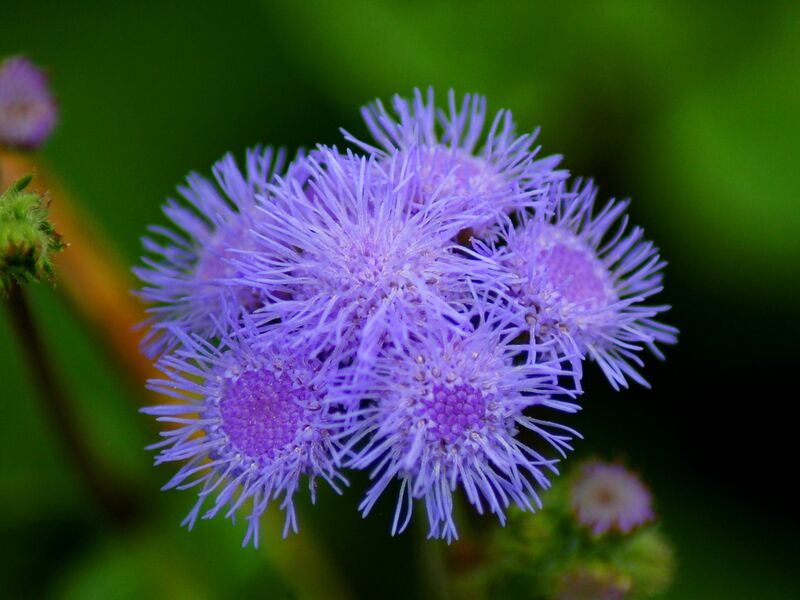 Flossflower (Ageratum houstonianum) is an annual beloved by admirers of blue flowers. But it offers more than just good looks. It is valued by Americans as the blue element in red-white-and-blue planting combinations for patriotic holidays (blue being the most challenging color to furnish in creating this combination). Bleeding heart (Dicentra spectabilis) is one of the prettiest perennial flowers you can grow. Its arching stems are lined with the whimsically-shaped flowers that give it its name. Related plants are fringed bleeding-heart (Dicentra eximia) and Dutchman's breeches (Dicentra cucullaria). Plants commonly bloom in red, pink, and white. The fact that these must-have specimens are also plants that groundhogs don't eat is simply a bonus. Butterfly weed (Asclepias tuberosa) is another plant that's useful as well as attractive. It's a key ingredient in butterfly gardens. A type of milkweed plant, this perennial flower can serve as a host to the caterpillars of monarch butterflies. In addition, swallowtails are drawn to the nectar produced by its gorgeous orange flowers. Another plant with orange flowers that woodchucks won't damage is avens (Geum). As if its colorful, bell-shaped flowers weren't enough reason to grow foxglove (Digitalis), this plant will attract hummingbirds to the garden, too. Its one drawback is that it's too poisonous to grow if kids will be around it. Flowers come in a number of colors, including yellow. 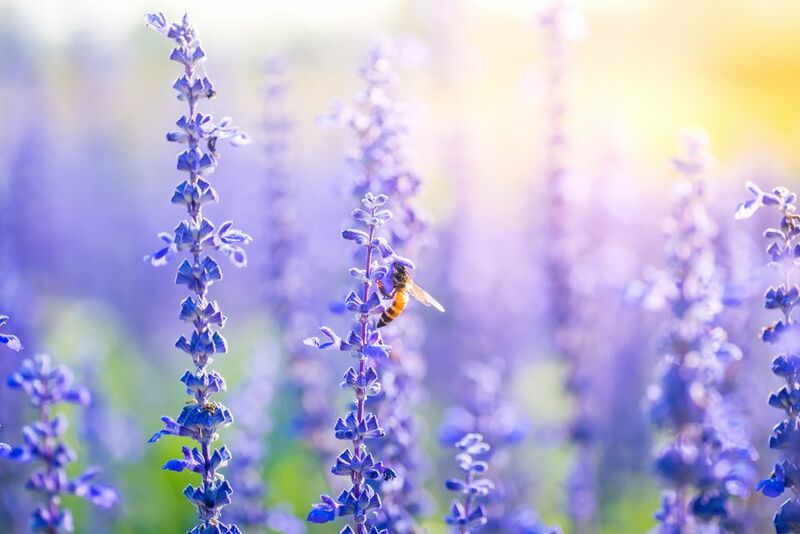 A stately perennial that most commonly bears purple, white, or blue flowers (with the occasional pink), larkspur (Delphinium) is another useful plant for drawing butterflies to the yard. It's also the ideal plant to grow at the back of a flower border, given its impressive height (some can reach 7 feet tall). Groundhogs may nibble here and there in a bed of larkspurs, but the plants' toxicity will kill them, so the damage shouldn't be extensive. Pests often won't bother plant parts that have strong smells. Many herbs have vegetation and/or leaves that smell wonderful to humans but that pests find repellent. Lavender (Lavandula) is such an herb. Harvest those fragrant stems and lavender-colored flowers that the groundhogs conveniently avoided all summer and use them in potpourris for your home in winter. Lily-of-the-valley has fragrant, white blooms and is so cold-hardy that even gardeners in USDA zone 2 can grow it as a perennial. But is also invasive and poisonous. Its toxic nature is why not only groundhogs but also deer and rabbit pests leave it alone. If you can tolerate its drawbacks, this is the kind of flowering ground cover that you can just plant somewhere and leave alone, as it is not fussy at all. Like flossflower, sweet alyssum (Lobularia maritima) is an annual flower and a popular bedding plant. It stays short, so it's useful as a ground cover for the summer months. It's also aromatic, long-blooming, and low-maintenance. Types with pink or purple flowers are available, but most gardeners grow the white-flowering kind. Yarrow (Achillea millefolium) has fragrant, feathery foliage. The smell is what keeps it off the list of groudhogs' favorite foods, although they do occasionally eat them. Pink, red, white, and yellow are the most common flower colors. Yarrow is a tough enough plant to naturalize in some areas. This quality, along with its showy, flattened clusters of flowers and delicate leaves, makes yarrow a popular edging plant. A basic tenet of integrated pest management is to take the path of least resistance wherever possible. In this case, that means growing plants that groundhogs don't eat. Unfortunately, sometimes we're determined to grow something that pests are just as determined to devour. People gardening in groundhog territory who refuse to restrict their plant selection to what groundhogs don’t eat must compensate by being vigilant. Whenever they detect signs of groundhog damage, they must take measures to control these pests immediately, else the'll soon find their gardens in shambles. If you select not to take the path of least resistance and grow plants that groundhogs won't eat, then you'll have to study proven measures to control groundhogs. These measures include fencing them out, repelling them with strong smells, and trapping them. All of these measures mean extra work on your part, and some of them can be problematic. The smartest way to beat woodchuck pests is to grow flowers they usually avoid, especially when there are so many such choices that are both beautiful and highly useful in the landscape.